The Anderson's Adventures: Busy Week! After our staff meeting on Monday, we met some of the other Senior Couples for lunch and showed the new couples around Itaewon. This is near the military base and has several American and many other ethnic restaurants and shops. There is a shop there that sells Korean style nativity sets. How did I not take any photos? Anyway, we had fun. On Tuesday, we went with Sister Sonksen to clean an apartment that was in need of some help. We worked until we had cramps in our hands and made that place sparkle. Earning our keep! 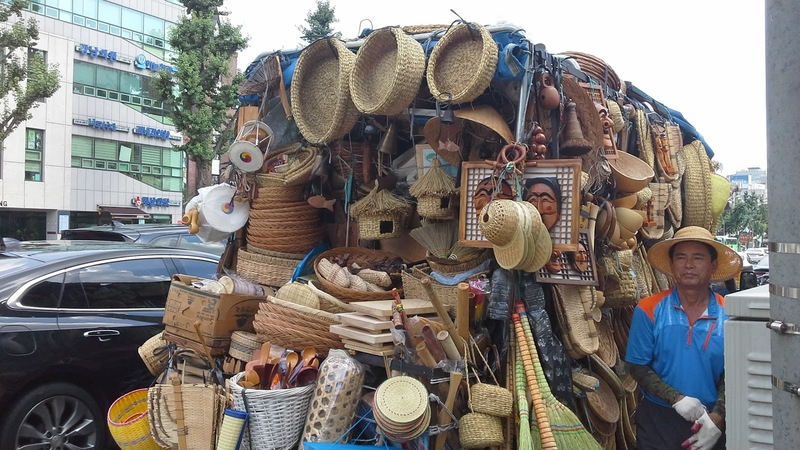 We saw this truck with hundreds of cute baskets, hats, bird nests and anything you can think of! On Wednesday Sister Sonksen made a peach dessert for us to share. One of the elders said he didn't like peaches, but this changed his mind! Our new Area President and one of the counselors. 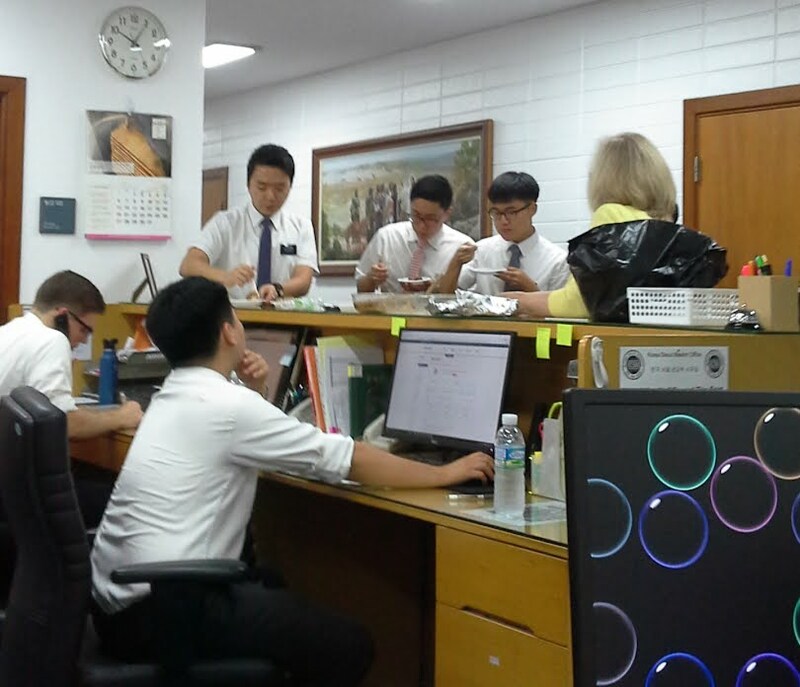 Elder Gay and Elder Choi. It was nice to get to meet them. 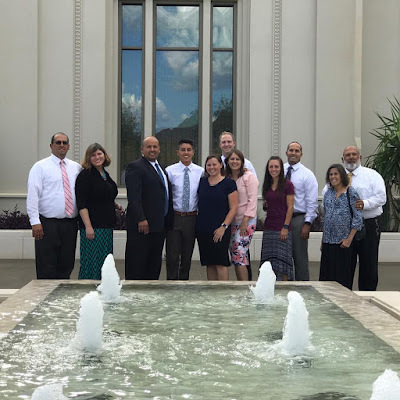 Elder Gay is from Ohio and knows Sister Sonksen's family. He was her parent's home teacher! And we got to visit with Elder Choi a little bit. Turns out that he studied at USU, so we talked about Cache Valley a bit. 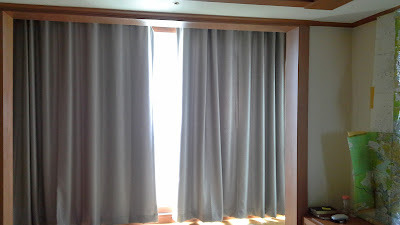 Friday morning we went out to take care of another apartment. 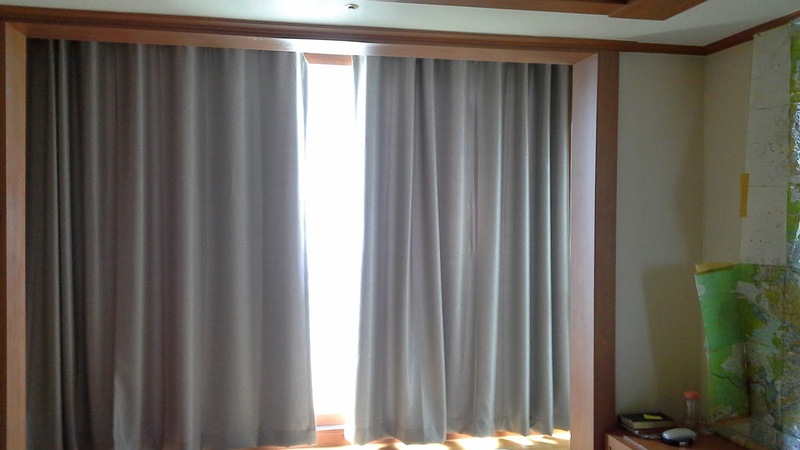 We had ordered some curtains for them. I think they turned out quite nice. Now they can sleep in until 6:30!! And we brought them some pop up mosquito net tents. 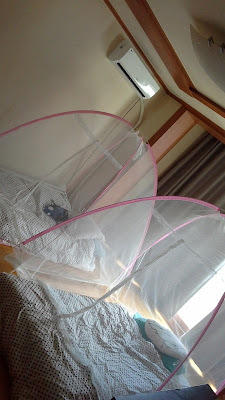 They can pretend they're camping. 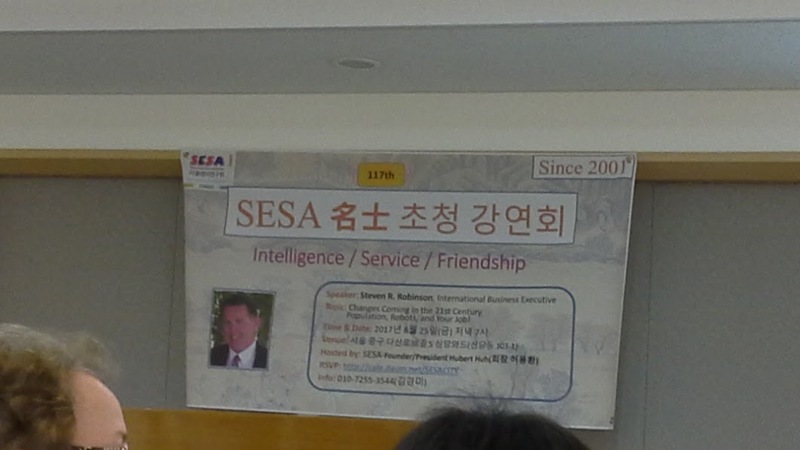 On the fourth Friday each month, the SESA (Seoul English Study Association) invites someone to speak to their group. This time Elder Robinson spoke about his experiences in international businesses. He worked for some shipping companies and for The Gap. 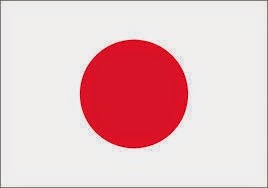 They have lived in Korea and in London besides California. He spoke about the economies of countries and population trends and what it may be like in the future with more automation in manufacturing. On Saturday Alan went with the young elders to work on the yard at a house we rent for elders. The weeds were a foot high all over. I didn't go along this time. Today in church we had the Seoul Temple President Min and Elder and Sister Nielsen as speakers. 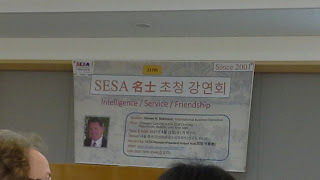 President Min told about one of the early Korean saints. He had been a Protestant Elder and when he joined the church, he had to give up his post. It was a difficult time. He had a chance to meet President Kimball. 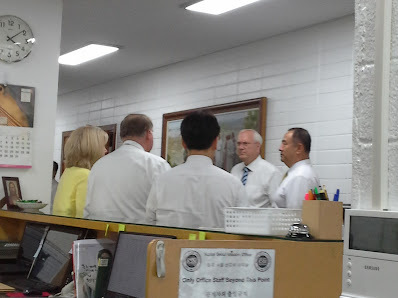 He told President Kimball about the many family names going back many generations and how he wanted a temple in Korea so they could do all of their work. Speaking of temples, our grandson Jacob who is preparing for his mission went through the new Tucson Temple Saturday. What a wonderful blessing!